It was clean and close to restaurants.It had a car park underground with security. The view was incredible. Access was easy. The location is just beautiful. Apartment spacious. Pool heated/warm. Not too crowded. Relaxed atmosphere. Bar by the pool. La habitación es normalita pero tiene un par de terrazas que le dan un toque. El diseño del duplex y la amabilidad de la chica de recepción. En general está todo ok, los apartamentos muy cómodos. 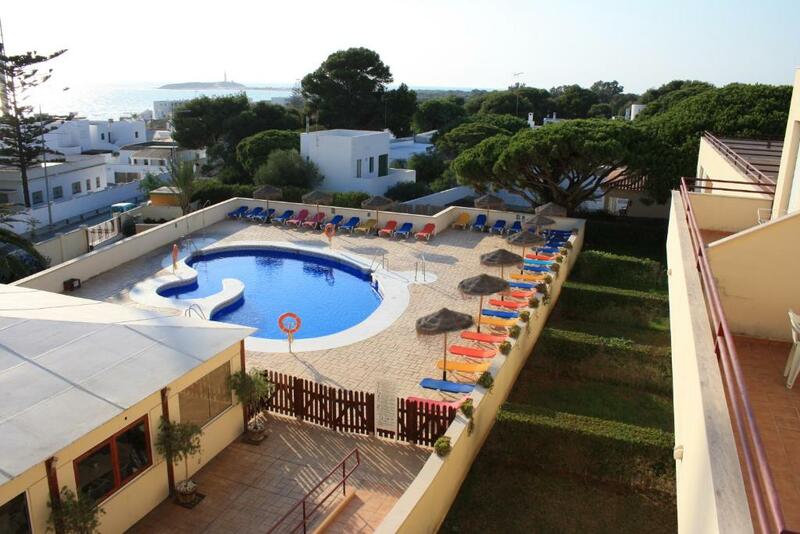 One of our top picks in Los Caños de Meca.Set within gardens and 150 feet from the beach, this apartment complex offers an outdoor seasonal swimming pool surrounded by a sun terrace with loungers. Free Wi-Fi is available in public areas. The Apartamentos Turísticos Caños de Meca feature accommodations with a lounge area leading onto a private terrace. The kitchen is equipped with a microwave, fridge and washing machine. 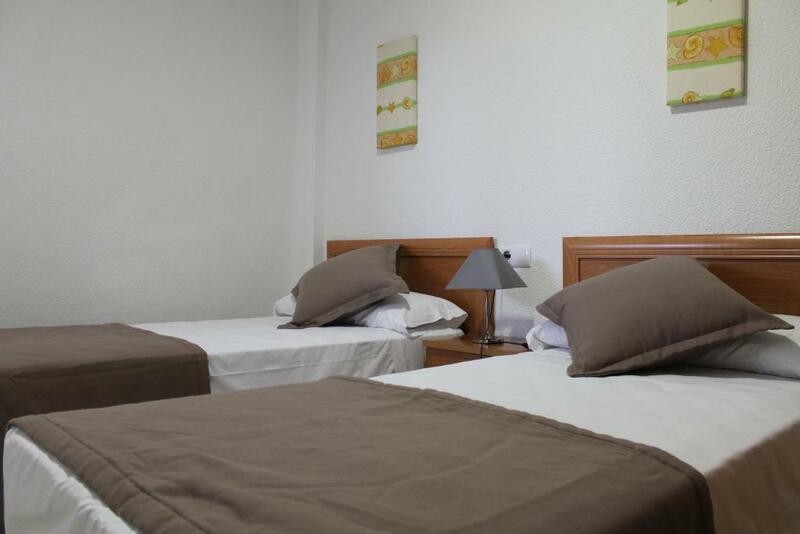 Car and bike rental can be arranged at the tour desk at Caños de Meca. Nearby you will find Breña's Natural Reserve and Marismas de Barbate. Other activities include horse riding and hiking. 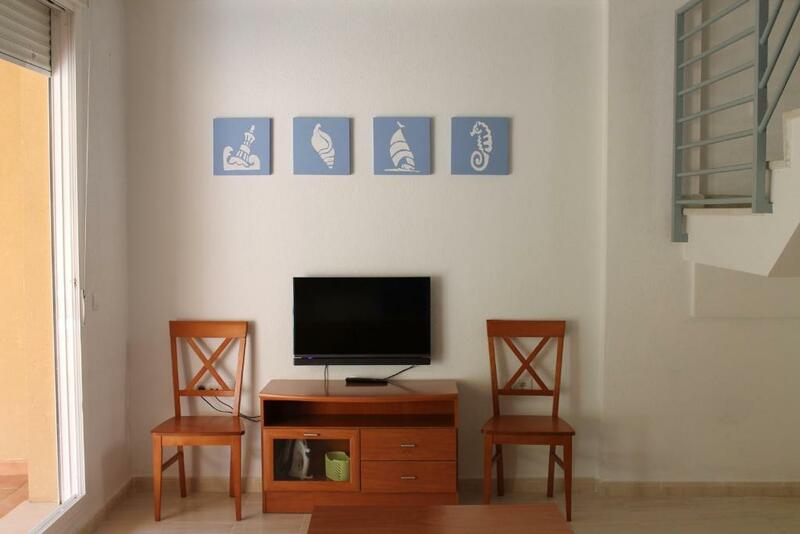 When would you like to stay at Apartamentos Turisticos Caños de Meca? This apartment features 2 twin bedrooms, 2 bathrooms and a large private terrace with views of the sea or Brena Nature Reserve. The air-conditioned lounge includes satellite TV and a sofa, while the kitchenette has a microwave, coffee maker and washing machine. Please note the maximum capacity of this apartment is 4 adults + 1 child up to 12 years old. This room features 2 twin bedrooms and 2 bathrooms, and a garden area. The air-conditioned lounge includes satellite TV and a sofa, and kitchenette has a microwave, coffee maker and washing machine. Featuring a small private terrace, this apartment has 2 twin bedrooms and 1 bathroom. The air-conditioned lounge includes satellite TV and a sofa, and kitchenette has a microwave, coffee maker and washing machine. 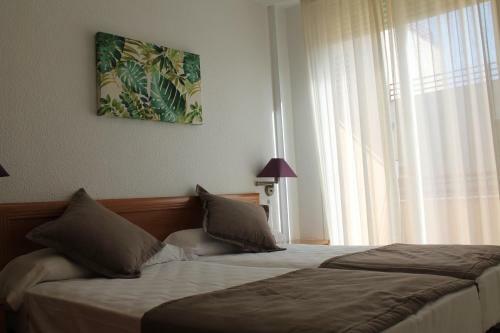 Featuring a small private terrace, this apartment has 1 twin bedroom and 1 bathroom. The air-conditioned lounge includes satellite TV and a sofa, and kitchenette has a microwave, coffee maker and washing machine. Please note the maximum capacity of this apartment is 2 adults + 1 child up to 12 years old. Located on the ground floor, this apartment features 1 twin bedroom, 2 bathrooms, and a garden area. The air-conditioned lounge includes satellite TV and a sofa, and kitchenette has a microwave, coffee maker and washing machine. Located on the ground floor, this apartment features 2 twin bedrooms, 2 bathrooms, and a garden area. The air-conditioned lounge includes satellite TV and a sofa, and kitchenette has a microwave, coffee maker and washing machine. Please note the maximum capacity of this apartment is 5 adults. This apartment features a twin bedroom, 2 bathrooms and a large private terrace with views of the sea or Brena Nature Reserve. The air-conditioned lounge includes satellite TV and a sofa, while the kitchen has a microwave, coffee maker and washing machine. Los Caños de Meca es uno de los destinos turísticos más singulares de la geografía española. Déjese sorprender por la belleza de sus paisajes, su ambiente y sus fantásticas y variadas playas que no dejan indiferente al viajero. Le convierten en un destino ideal para todo el año. 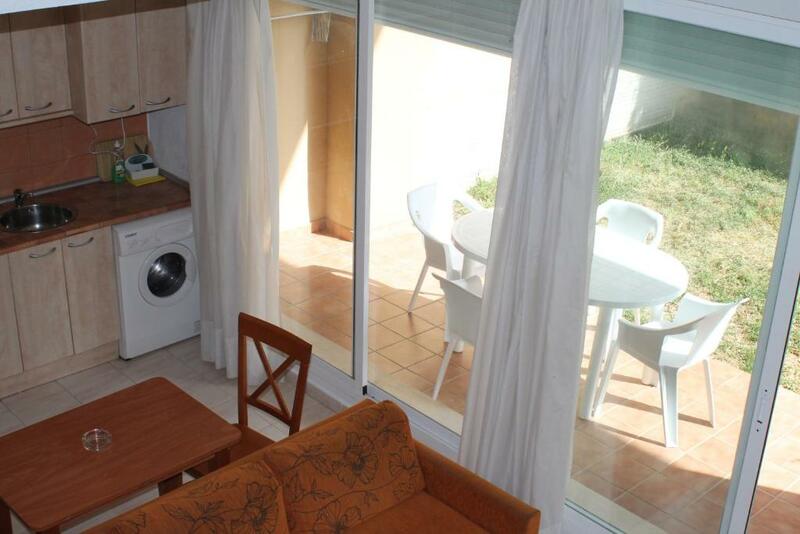 Los Apartamentos Turísticos Caños de Meca están situados en el Cabo de Trafalgar, un emplazamiento inmejorable para pasar sus vacaciones y que cuenta con todas las comodidades. En sus alrededores hay innumerables atractivos turísticos entre los que destaca el Parque de la Breña y Marismas de Barbate. Nuestros apartamentos cuentan con 3 tipologías: apartamentos, áticos y dúplex. Los 3 totalmente adaptados a las necesidades de nuestros clientes, con todas las comodidades para disfrutar de una gran estacia. Podrá disfrutar de el entorno de Caños de Meca, como el pueblo de Barbate, las playas de Tarifa y el encanto de Zahara de los Atunes. Los Caños de Meca, es uno de los destinos turísticos más singulares de la geografía española. La belleza de sus paisajes, su ambiente y sus fantásticas y variadas playas no dejan indiferente al viajero, ya que le convierten en un destino ideal para todo el año. En sus alrededores hay innumerables atractivos turísticos entre los que destaca el Parque Natural de la Breña y Marismas de Barbate. Desde antaño, la marea y los vientos nos han llevado y traído. Con el levante que atraviesa el Estrecho buscando las sinuosas dunas de interminables playas, vestigios de florecientes civilizaciones, donde se funden mar, cielo y bosques, en el Parque Natural de la Breña y Marismas del Barbate, habitados por gran variedad de especies, algunas únicas. El Tajo, acantilado sublime y solitario vigía, protege a 100 metros de altitud, celoso, el tesoro de su Costa. Por la cual, siguiendo la estela de sus cálidas noches, arribas hasta la templanza del sol que le da su mágica luz. House Rules Apartamentos Turisticos Caños de Meca takes special requests – add in the next step! 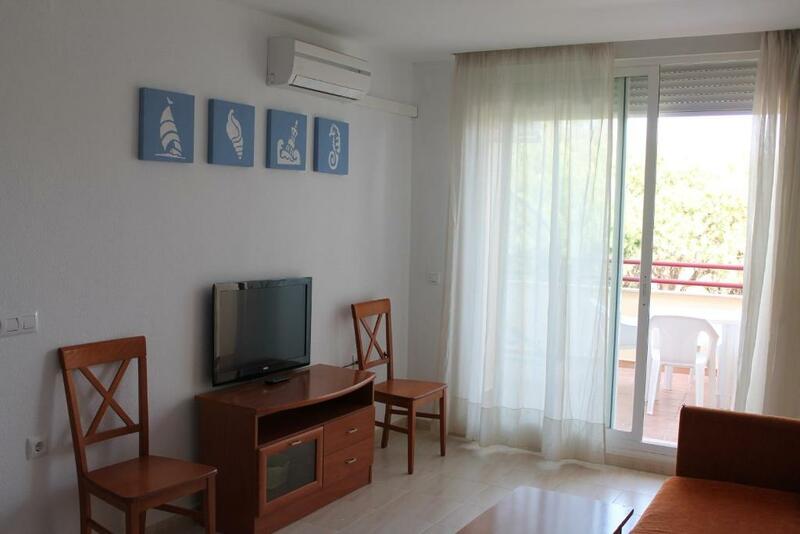 Apartamentos Turisticos Caños de Meca accepts these cards and reserves the right to temporarily hold an amount prior to arrival. 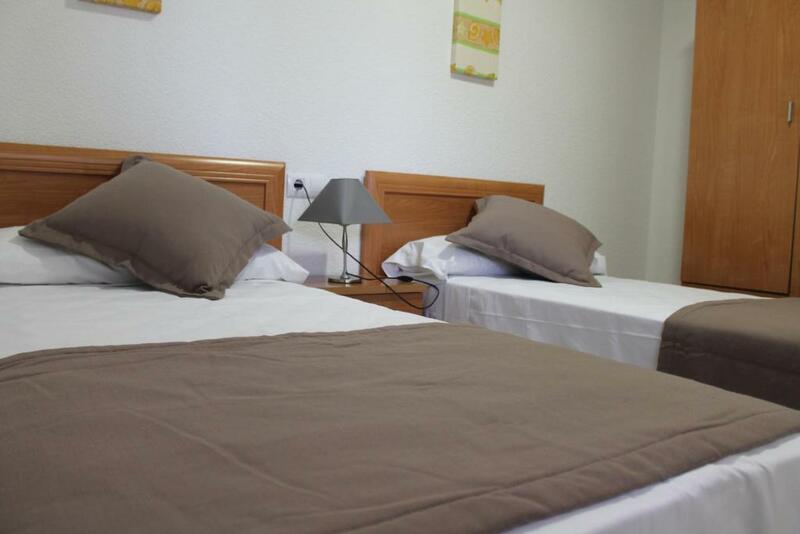 Stays of longer than 7 days include a change of bed linens and towels and cleaning of the apartment. Guests can request extra cleaning for a fee. Please ask about prices at the front desk. Please inform Apartamentos Turisticos Caños de Meca of your expected arrival time in advance. You can use the Special Requests box when booking, or contact the property directly using the contact details in your confirmation. The service of this hotel was really bad. And there was nobody when we left the place. Check in is available at 5pm and check out already at 10am. Not much time actually stay in hotel. The room was plain and cold. The toilet smelled really bad. You had to pay extra for parking a car. It was also really hard to find your way from the parking to the reception and the rooms. I wouldnt recommend this hotel. Too many stairs everywhere. No mosquito nets over the window. Nothing provided to kill the mosquitoes, every night a plague of mosquitos. Reception staff not very friendly/professional. Don't leave tea towel or much toilet paper, or small cutting knife. The rooms never warmed up and there were no blankets in one of the rooms. It was cold right through the night. My husband Did not sleep. The WiFi password Did not work. Ants and mosquitos all over. You can not leave food outside the refrigerator because there are ants in the whole apartment. Mosquitos bit us during night. No insect nets in the windows or anti-mosquito devices. Almost no street parking. Nice location close to the sea and the nature. A persistant smell of the sewer system - sometimes more and sometimes less, but present all the time.